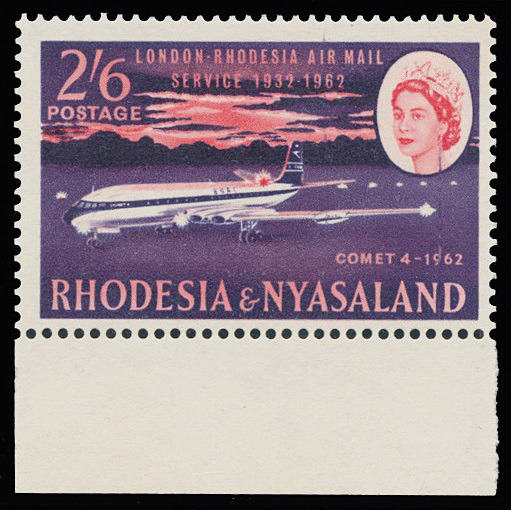 1962 Airmail, 2/6 lower marginal showing small purple ink line at base of Queen's cameo. Superb unmounted. SG 43 var.